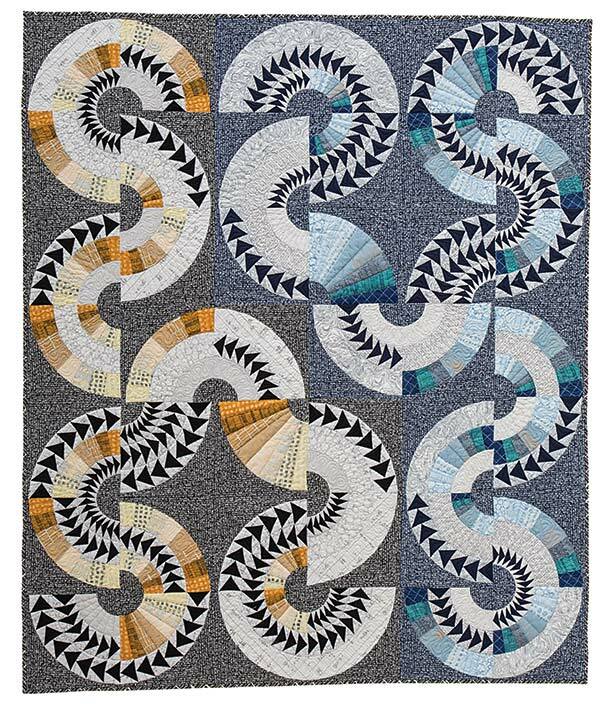 I'm thrilled to bring you guys another new quilt book from C&T Publishing. When C&T reached out to me about being part of the blog tour for New York Beauties and Flying Geese it was pretty much kismet. 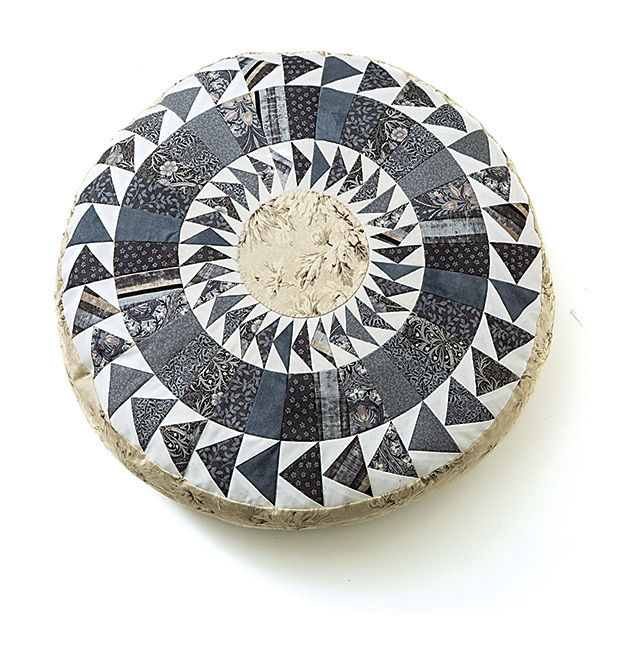 People had been asking about paper piecing and curved piecing both of which I have done but I hadn't created anything of my own. I had a sketch pad out when I got the email. I put the sketch pad away for now because this book from Carl Hentsch is amazing. Don't forget to scroll to the bottom for a chance to win a copy of this amazing book for yourself. This book is packed!! There are 10 quilts, 27 pillows, and 31 quilt blocks. You are only limited by your imagination with this book. That's what I love about it, it teaches you how to do the process, gives you some ideas, and then lets you go wild with the blocks at the end of the book. I did one block, block 21, to turn into a square pillow in the future. It's in the future because the blue I thought I had to finish the pillow wasn't a full piece of fabric and wasn't big enough. I knew I should have picked up some more when I was at the shop on Saturday but I didn't and now I don't have a completed project just a block. I worked out of my scraps for this block. Every piece of it is a scrap and with a wink to my rural roots, I had to have a John Deere tractor in there. I went with blues and greens because I've really gotten hooked on blue lately and green is the color of the year. It's also a timeless combo. If you aren't ready to jump into the scrap sewing Carl does help with how to pick fabrics that will work well. If you've never done paper piecing Carl has put some great tips in the book for beginners. One of the hardest parts is you are really working blind if you use normal copy paper. Your fabric can't be seen so Carl suggests that you use vellum. These sheets of vellum are designed to be used in your printer or copier and you'll be able to see what's going on on both sides of your paper. My one tip for doing this kind of sewing is when it comes to cutting out the pieces. You can't use your rotary cutter and ruler so you have to trace around the pattern pieces if you are brave after tracing you can use your rotary cutter to cut the pieces. I am not that brave so I trace and cut with scissors. When you are sewing curves cutting the pieces out accurately is a must! You don't want your template pieces slipping so to keep that from happening you'll want a pattern weight. Now you can buy your pattern weights, you can make them, or you can improvise. I improvised my weights or I went shopping at the local farm and ranch store take your pick. See you don't need anything fancy you just need something heavy. These are just nuts for big bolts, I bought four in several sizes and so far they've worked well. Ok, I'm sure you are ready to get on with the tour! The giveaway is over but you can still order a copy of New York Beauties & Flying Geese. You'll want to check out the other stops on the tour to better your odds at winning a copy of the book. This sounds like a book I want! I have done a little paper piecing, but not enough that I don't need all the help I can find.Thanks for the chance to win this book! Holy smokes, those look so beautiful and complicated. I really need to give them a go! :) Thanks!! 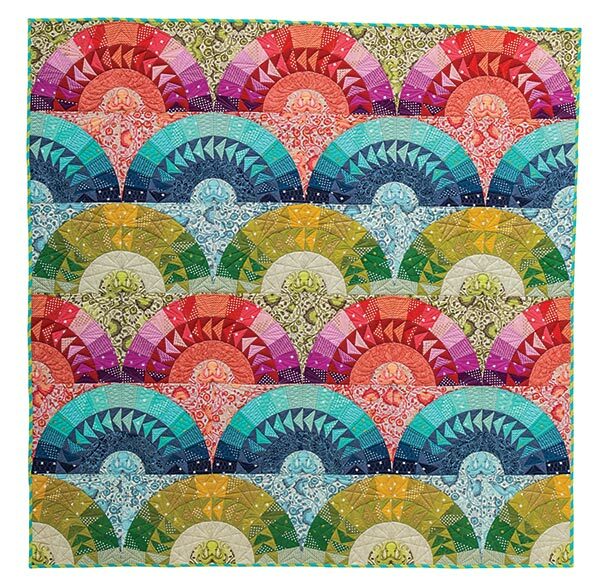 Very creative use of color & design in the quilts & pillows. Appreciate the opportunity to win the book. These are beautiful! I would love to win Carl's book. I can't wait to get my hands on this book. Love the design and colors! I would love to have a copy of this book! It would help me learn how to sew curves. The patterns are so colorful and gorgeous. The pillows in this book look awesome but I really want to make one of those quilts!!! Wow! I love the New York Beauties and would love to win a copy of this book. Thanks so much. How I'd love to make my own project from this book! I've always adored the New York Beauty designs and enjoy all of the color shown off in them! Everytime I see things made from this book, I love it even more! I love your blue and green block! Thanks for the inspiring post! The pillow is outstanding! Like the black and white colors. Wow, that is amazing. I don't know that I have the patience at this point, but maybe after all the kiddos are gone. Graet pillows - on my list to make for me next!!! I love your tip for fabric cutting with inexpensive weights; use large bolts! Great idea! I think I might be up to the challenge of making the pillow! Although it might take me a while to complete it! I have loved all the posts about this book. What an excellent tool it would be to have on my shelf!